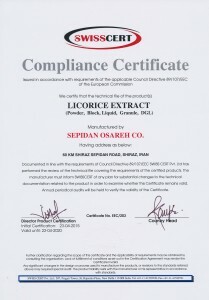 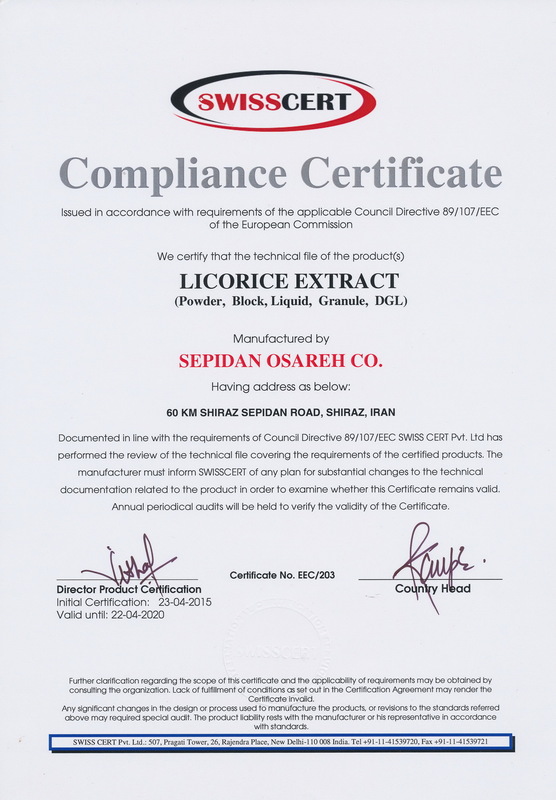 Produce & Export : Licorice Extract Powder, Blocks, Liquid (Paste), Granules, Nuggets and etc. 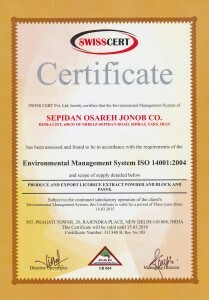 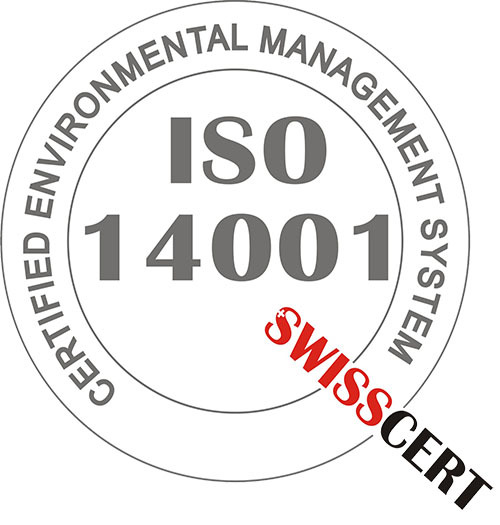 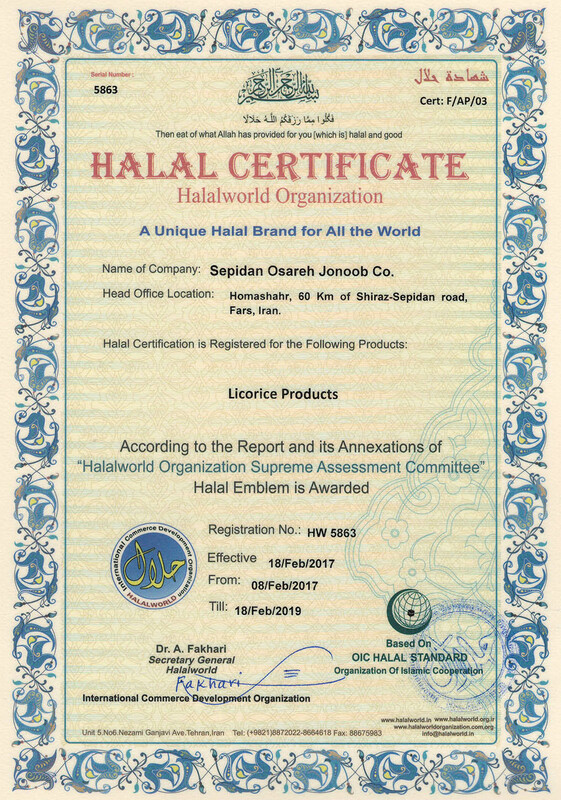 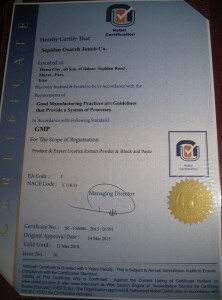 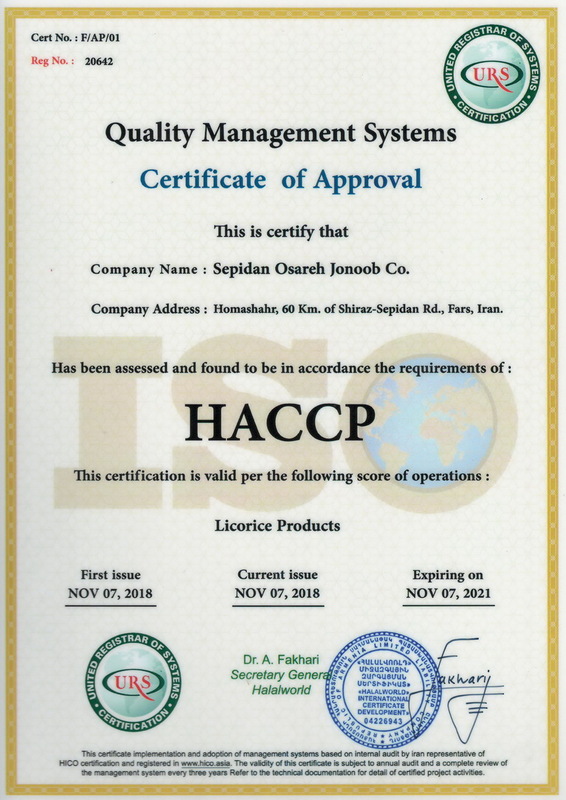 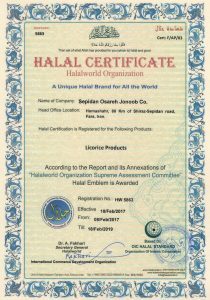 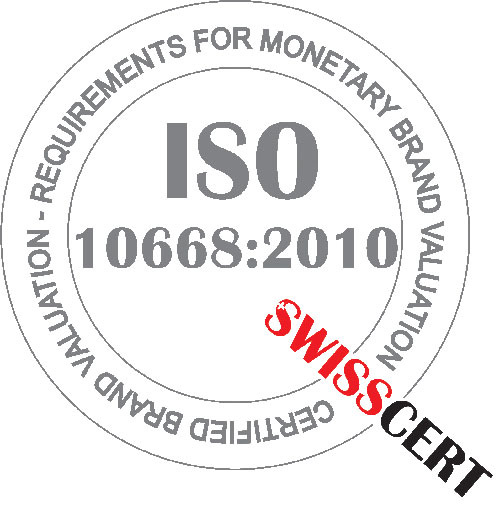 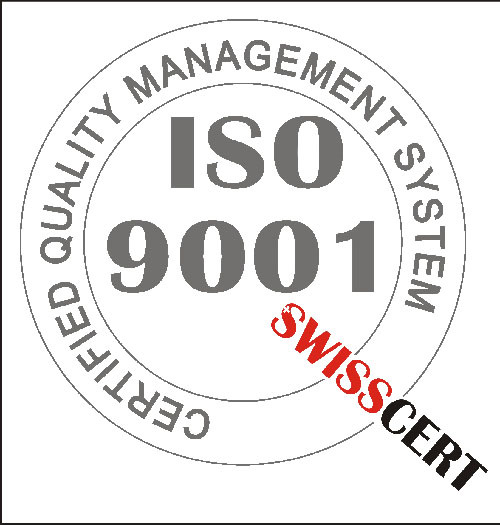 Best Quality and Pure, ISO 9001:2008 guarantees our products. 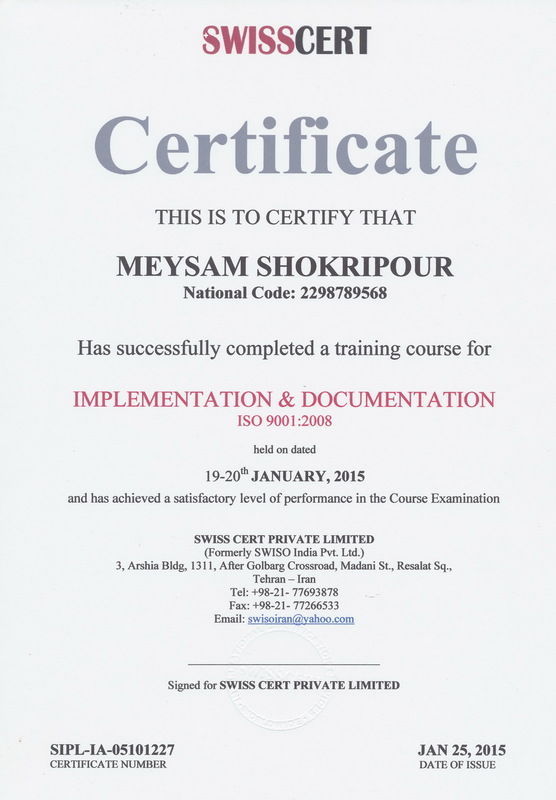 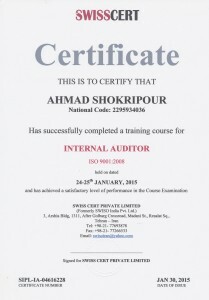 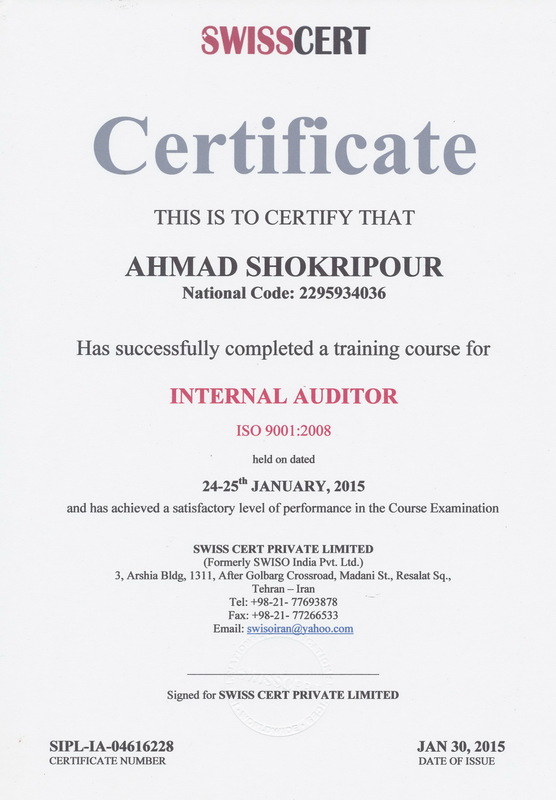 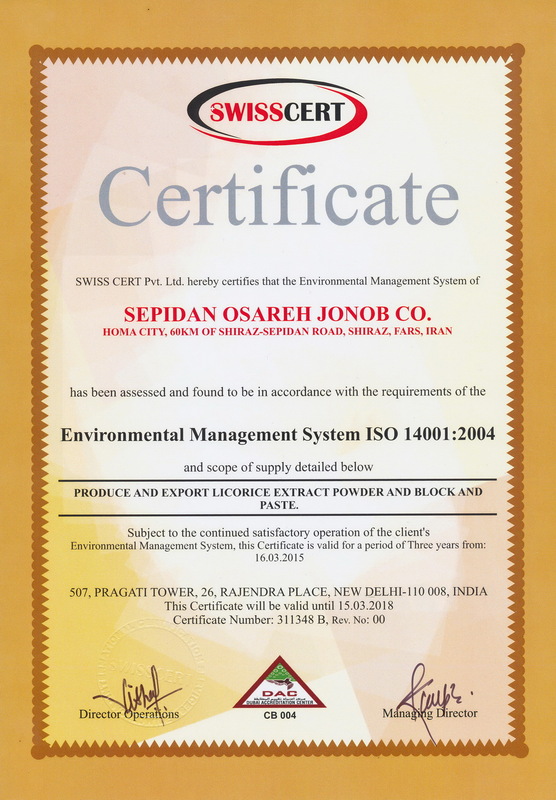 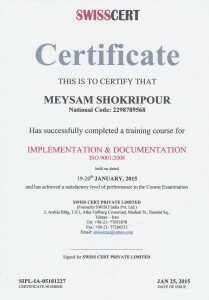 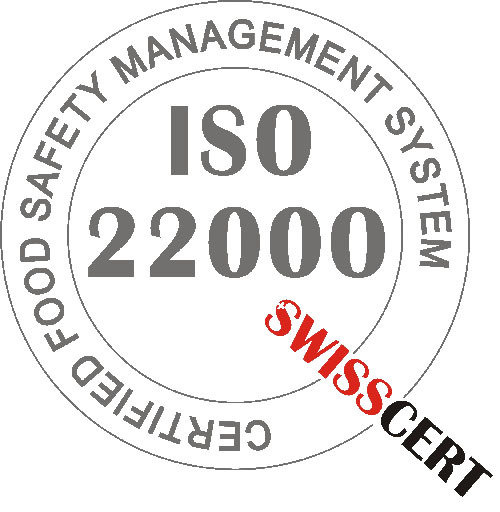 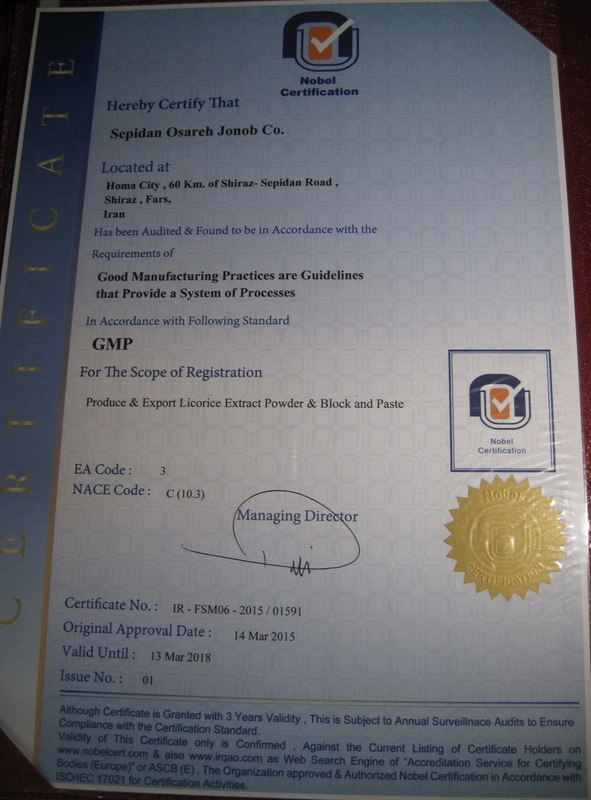 Certificate ISO 9001 is the internationally recognized standard for the quality management of businesses. 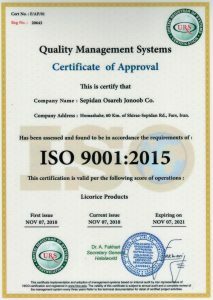 The aim of ISO 9001 is to give improved product, process and service quality within an organization and can lead to increased productivity with a reduction in waste through streamlining of current working practices. 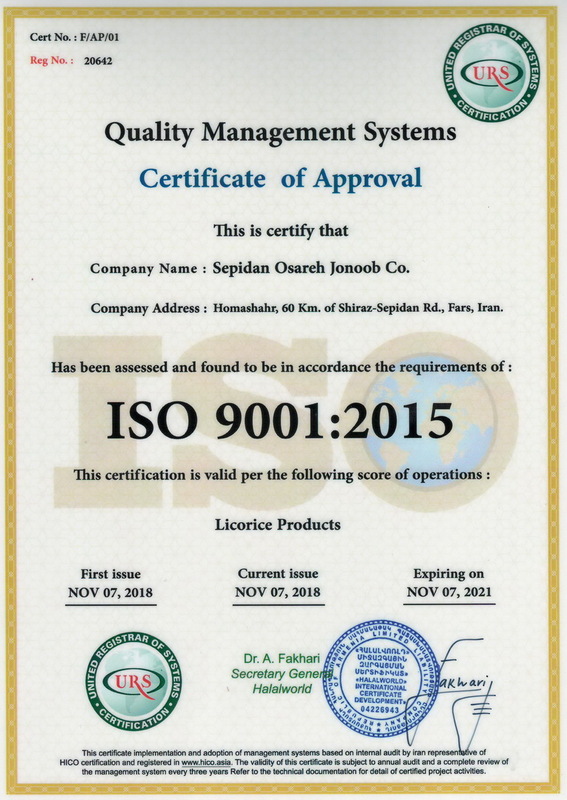 ISO 9001 acts as the initial stepping stone for organizations on the path to success, through improved customer satisfaction, staff motivation and continual improvement. 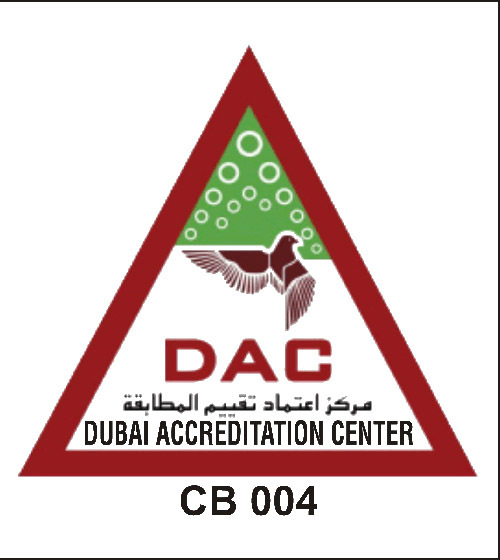 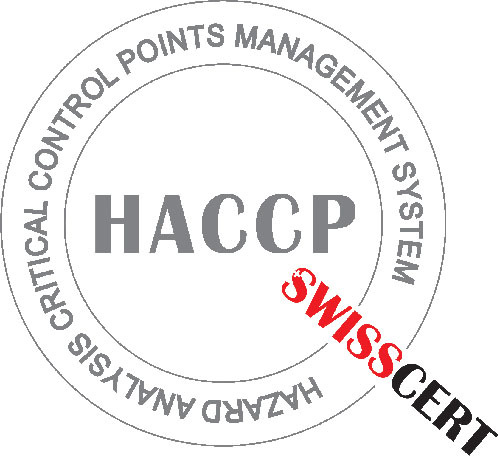 Certification communicates to our customers and prospects that we comply with this internationally recognized standard, building confidence whilst demonstrating your commitment to quality. Whether you are a small business or a global corporation, ISO 9001 certification sends a clear message wherever you may do business. 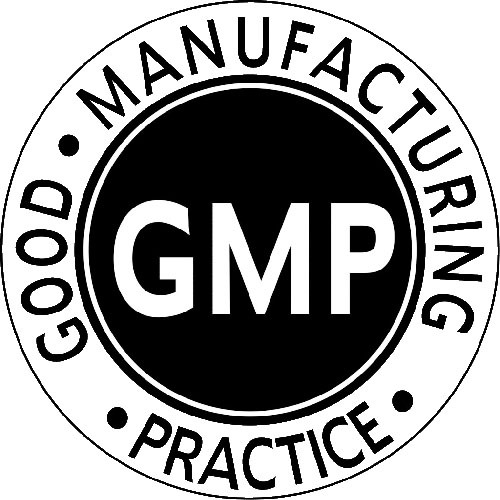 Meeting contractual obligations or expectations in some industry sectors.